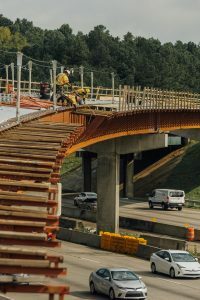 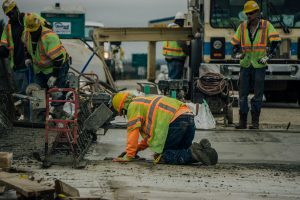 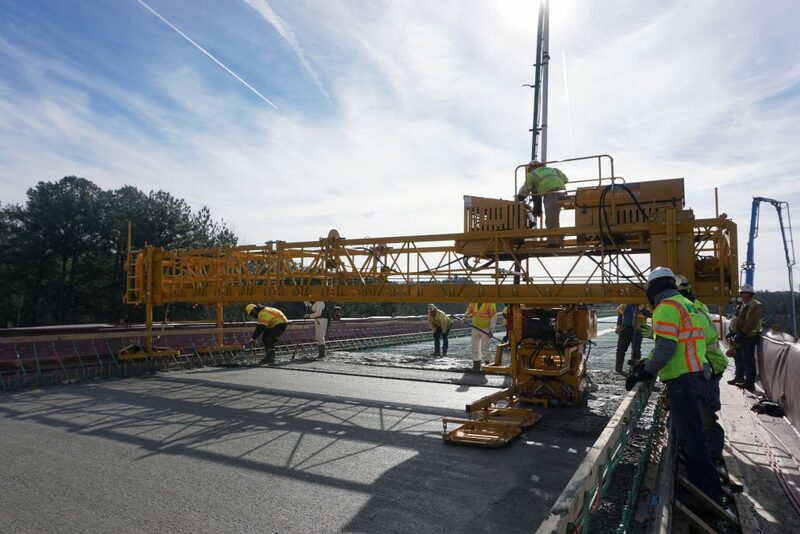 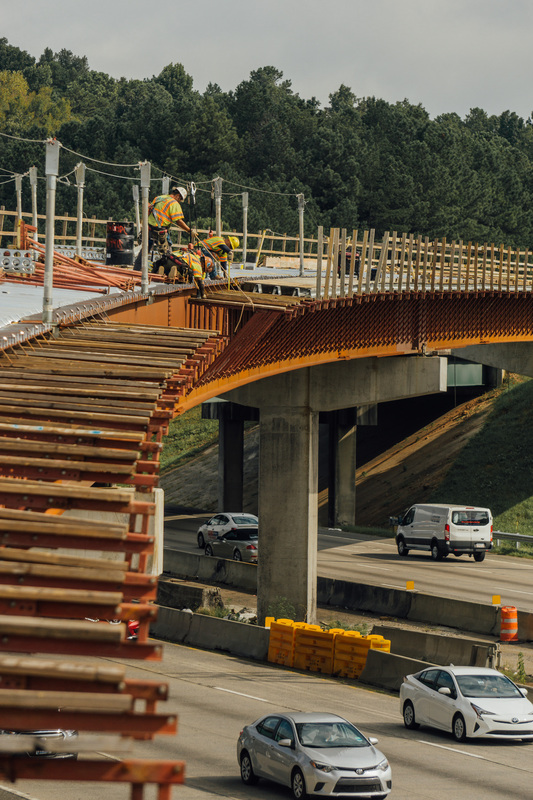 Construction crews working above the roadway are required to wear safety harnesses, which keep workers safe while installing temporary form supports on an express lanes bridge at the I-75/I-575 interchange. 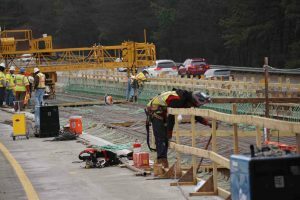 Construction crews install rebar prior to pouring concrete on this I-575 bridge deck over Little River, looking south. 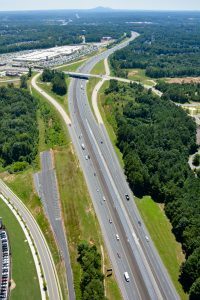 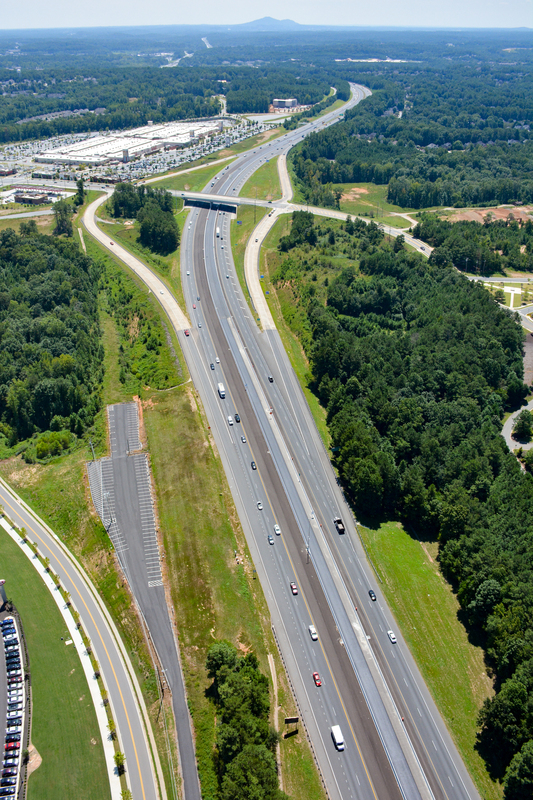 A bird’s-eye view of I-575 at Ridgewalk Parkway.